Home / Blog / Uncategorized / What size is the mobile shredding company you use? Benefits of a large mobile shredding fleet. What size is the mobile shredding company you use? Benefits of a large mobile shredding fleet. One challenge to all businesses is when something doesn’t go according to plan. Circumstances can change at any time and will occasionally have a detrimental effect to your own business, despite being out of your control. Disposing of your confidential data in a secure manner is an area where you cannot afford to risk anything going wrong. Should the Information Commissioner’s Office (ICO) find an organisation in breach of the UK Data Protection Act they can enforce fines of up to £500,000! Should circumstances occur with a mobile shredding vehicle, while contracted to dispose of your confidential data, would the mobile shredding company be able to deal with the situation preventing any impact on your business? If the mobile shredding equipment was to breakdown during the shredding process can the company you currently use send a replacement mobile shredding vehicle to complete the shredding as contracted, keeping you compliant with regulations? If the answer is no, what would happen with your confidential data? If they were to take your data away without completing the shredding process would they remain compliant with regulations to protect your data, and your business? Could your collection end up being rescheduled every time the company experiences a breakdown, as they do not have a large enough fleet to provide replacement vehicles? Mobile shredding breakdowns are not uncommon, and it can often take days for an engineer to fix equipment issues. If the mobile shredding company you currently use only has a small fleet breakdowns could impact on your own business with missed collections or providing a ‘quick fix’ that might not meet regulations. That’s why it’s important to use a company with a large fleet to give you the confidence they can still provide the service you require, when the inevitable happens. 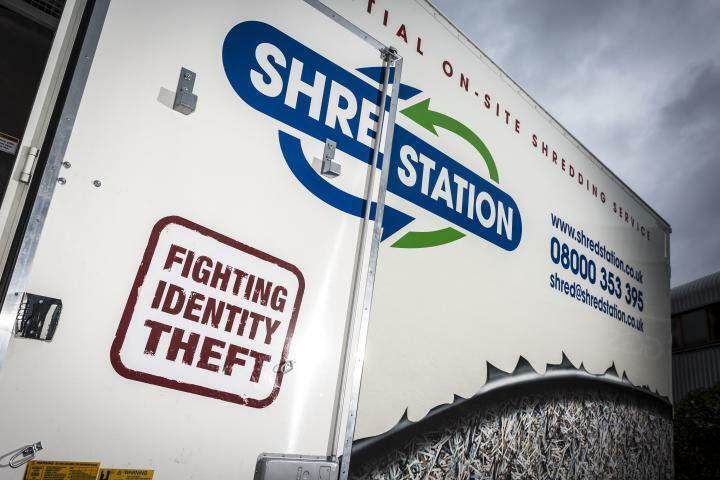 At Shred Station we pride ourselves on our resources and contingency plans; remaining fully in compliance with regulations should an incident occur.